Lisa loves John: four-leaf clover caged eggs! Is anyone else having a hard time believing that it is just about mid-March? It’s absolutely crazy to me that Spring is almost here, and St. Patrick’s Day is officially a week away...! Although I won’t be celebrating dear St. Patrick (boo for jobs! 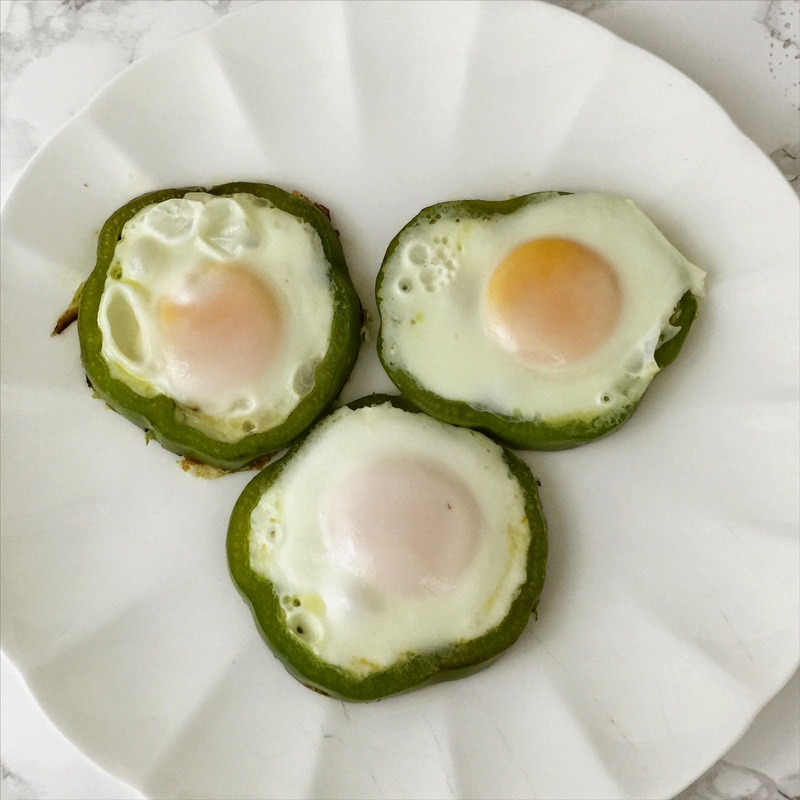 ), I'm never opposed to a festive breakfast – and these four-leaf clover caged eggs are the perfect thing! 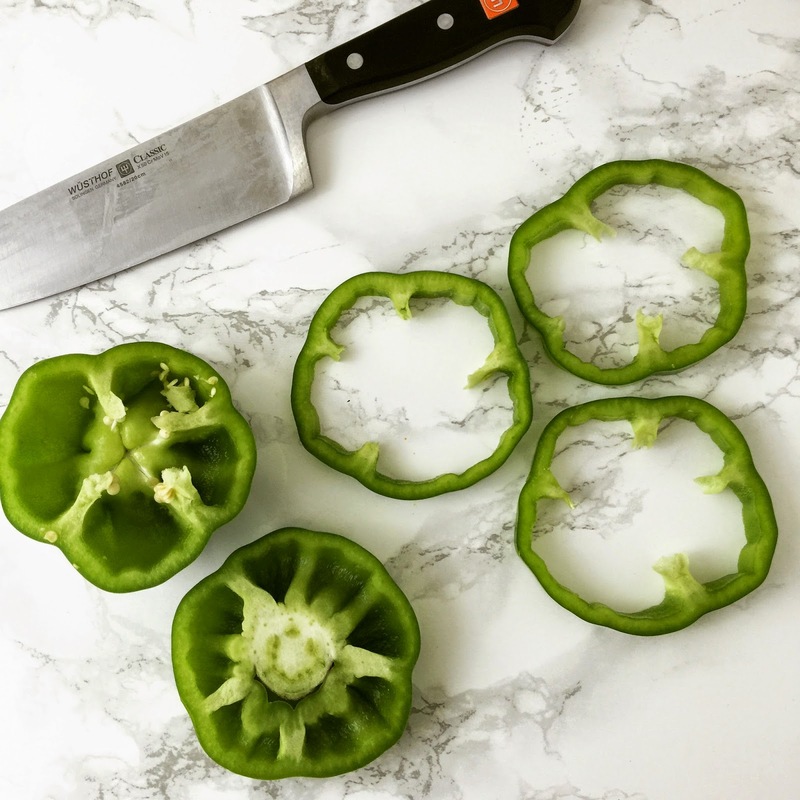 Begin by cutting a green bell pepper into 1/2-1 inch slices. I cut mine too thin and the egg whites ran over which hid the four-leaf clover part... lame-o! 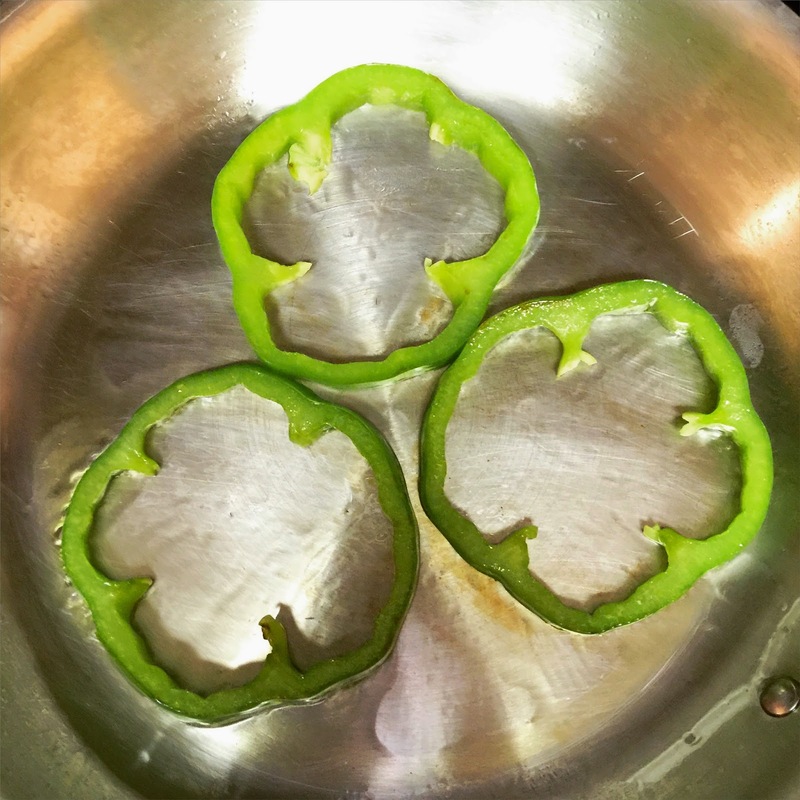 Remove the seeds of the pepper, but leave the ribs (which give the look of a clover!). Put about a 1/2 tablespoon of oil into a pan and sauté the peppers for a few minutes on each side. 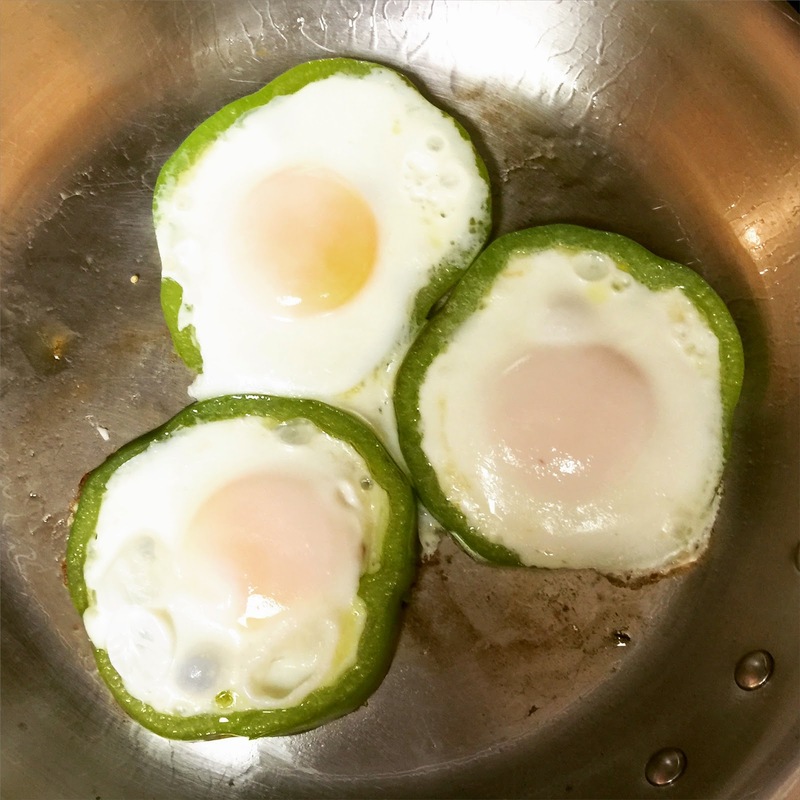 After the pepper has softened, crack an egg into the center. Pour the egg whites slowly so the egg doesn’t over flow (but if it does, you can easily clean up the eggs whites after they are cooked!). Cook the eggs until they are done to your liking. I like my fried eggs over-medium, so I covered the pan with a lid to help the cooking process. Any other over-medium-ers out there?! 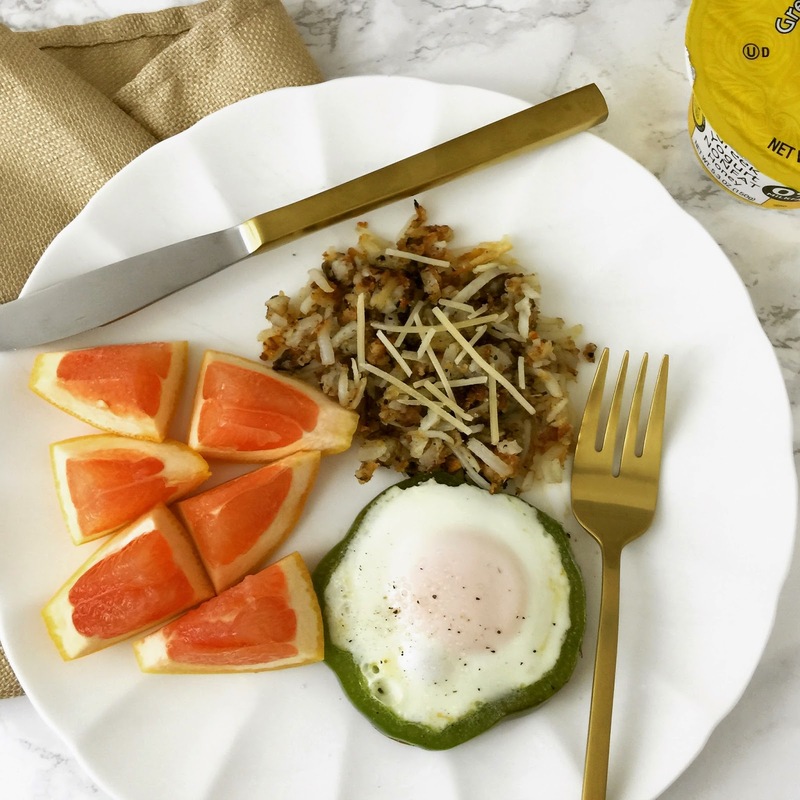 Once the egg is done to your liking, remove from the pan, clear up any extra egg whites and serve with some yummy hash browns and tasty fruit! 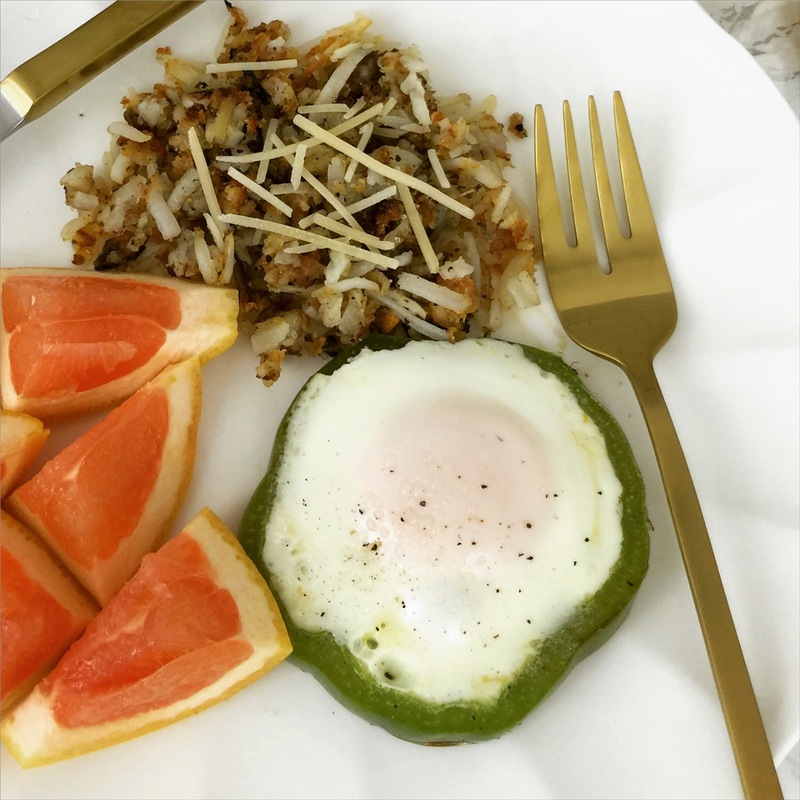 It’s that easy, and you’ve got yourself a festively healthy breakfast (and your waistline will thank you if you plan on indulging later!). Im not an egg fan at all but these are so cute and festive for St Patty's Day! Those potatoes look so yummy too!! Love that you found a festive way to celebrate even though work gets in the way of actually going out to celebrate! Omg these are so cute!! And pretty practical since the eggs look perfect! I'm right there with you on the over medium. Can't wait to try these out! How is it a week until St. Patty's already?! Awesome recipe...super cute! Such a cute idea! And yummy and healthy! I'm not so domestic but this recipe might make me LOOK domestic :) I'm a fan. These are so creative! Love it! What a cute idea! I LOVE eggs...so I may have to try this! I saw a pin for this and I thought it was so cute! I love how they turned out and I'm sure they were so yummy! These are so festive! I clearly need to start my St. Pattys day with these! what a cute idea! my best friend's birthday is st. pattys day so i should make these for her! this is such a good idea! I've see this before with an onion but never with a pepper! I need to try this now! So cute! You are just so creative!